We are a network of credentialed therapists, coaches, and healers committed to supporting individuals with their transformation, empowering them with tools, and easing the process of integration. We encourage you to browse through our members and watch their intro videos to see who resonates with your needs. All members can be contacted through their websites. 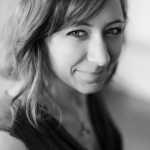 Ashley Booth is a co-founder of InnerSpace Integration and founder of the Aware Project: Rethinking Psychedelics. Her approach blends her background in the sciences with a deep spiritual core ignited through the use of entheogens. 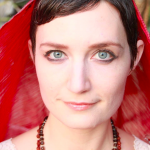 She brings her wealth of knowledge to her coaching work from being steeped in the world of psychedelic advocacy and education for the last 4 years as well as being a psycho-spiritual retreat facilitator at Crossroads Treatment Center (ibogaine and toad). 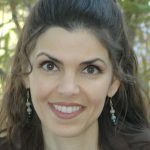 She offers guidance on how to navigate the medicine path responsibly and how to supplement with other supportive practices. Currently, she is pursuing a Masters in Social Work. 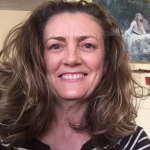 Sherree is a co-founder of InnerSpace Integration. 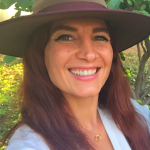 A pioneer in the field of psychedelic integration, she works with clients before and after entheogenic journeys to cultivate a connection with our inner healer. She has a M.A. in Psychology/Psychedelic Integration Therapy and is a certified psycho-spiritual integration coach specializing in addiction recovery. Her approach draws from transpersonal, mindfulness and shamanic healing modalities to fuse ancient wisdom with modern & practical practices. My focus is on holding space with a sense of unconditional love and total acceptance. My intent is deep listening, and reflecting back, to what a person is saying about themselves. I aspire to help someone navigate to their internal sense of self worth and coherence. I’d like to be a catalyst to help people feel good about themselves so they know the value of who they are. 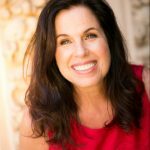 I facilitate sessions and integration circles online as well as in person in San Diego and Los Angeles. I am a hypnotherapist in private practice in Brentwood. My specialties include working with altered states of consciousness, internal & spiritual exploration, anxiety, trauma, and freeing from bad habits/addictions. I am grateful to the Mother medicine for opening up my path & revealing my calling using this work. I use my skills now to help shift consciousness among humanity. I work using hypnosis, Hakomi, Imagery, and mindfulness. Our work together is the weaving and re-membering of the many pieces of your Self back into integral wholeness. I give witness to your experiences by allowing you to feel seen, heard and supported. As we dive into core material, you are held and empowered through deep relating, creative self-honoring practices and actionable tools to support your continued spiritual evolution. I have a passion for facilitating growth and deep healing. I believe that healing is a process of becoming more whole. Whatever the “problem” or “stuckness” is, we’ll use it as an entry to point to greater growth and transformation, developing your ability to deal with difficulties in such a way that they actually become seeds for greater wholeness. 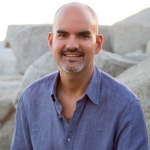 I have an integrative approach and incorporate numerous modalities, including transpersonal psychotherapy, neurofeedback, and holistic health coaching. I have 21 years experience doing this work. 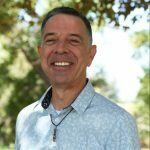 I am a Psychedelic Integration and Transformational Coach, Energy Worker, and active member of the Southern California psychedelic community. In working with clients I draw on my knowledge and studies of Neuro-Linguistic Programming, coaching, meditation and energy/body work, as well as my own experience using psychedelics for personal and spiritual growth. In preparation sessions I provide tools and techniques for staying grounded and navigating the psychedelic space so that you get the most out of your experience, and in integration we unpack and carefully examine the contents of your journey, working together to determine what that experience was trying to teach you. I have been licensed as an MFT in California since 2003. My style is very client-centered; i.e., interactive and collaborative with a client’s stated goals or aspirations. I believe the foundation of my private practice – which has been consistent for over 15 years – has to do with the clients having the experience that I am keenly interested in wanting to listen and understand, and to assist in their own navigations toward understanding. I am a practitioner of Guided Core Integration. This is an evolutionary process of self-knowledge and personal healing. Essentially, it is a method of “re-parenting” one’s emotional body through the use of specific tools including breath, sound and physical exercises, in a safe and nurturing environment. I assist my clients in reclaiming the parts of themselves that did not fully blossom from a lack of nurturing and guidance during their early years. Through this work, one is able to gradually transform their lives and emerge into a more grounded and fulfilling reality, connected to their authentic self. As founders of InnerSpace Integration, we did our best to screen members of our network but please use your best judgement. We encourage you to fill out the feedback form below to give us information on how well we are serving the community. By contacting anyone on this list through this page you hold harmless InnerSpace Integration. We are not a service to connect people to illegal underground practitioners. Please do not ask our network members for referrals. We want to provide a confidential space for people that have worked with members of our network to give us reviews. We appreciate your honest feedback which will better serve us in assessing our Support Providers Network Members in hopes of providing the best integration services and care to our community. We are happy to receive any and all reviews. Thank you in advance! Do you have services you would like to offer our community?